Play as a grumpy old bean trying to stop intruders from messing up his lawn. Beware of children, delinquents and hippies who won't respect your boundaries. 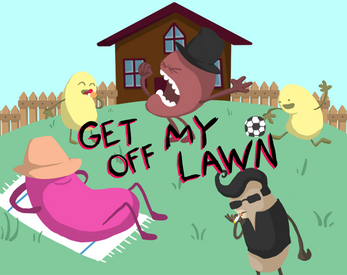 Scream at them to leave while simultaneously caring for your lawn, watering and keeping it free from garbage or it will surely perish. How many waves will your lawn survive?